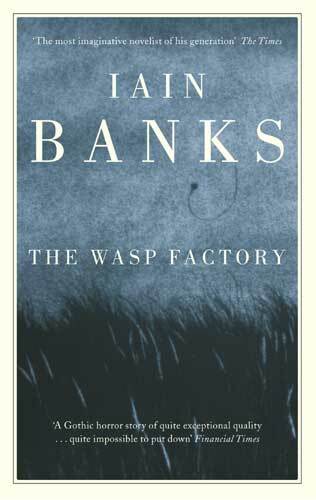 Welcome to The Wasp Factory, where by the age of 16 Frank Cauldhame has already killed three children, including his younger brother. These days the teenager passes his time kill ing animals on the tiny British island he shares with his father. Other favorite activities? Long walks on the beach, going to punk-rock shows with his drunken dwarf buddy, Jamie, and gathering wasps in his elaborately engineered torture chamber. 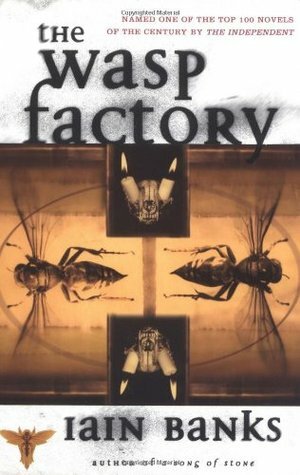 This 1984 debut from Scottish writer Iain Banks stirred up a mess of controversy when it was initially released, and remains a dark and twisted read nearly a quarter century later. Another great example of effective first-person POV, the narrator’s tale disorients and disturbs. No doubt, this is one of the greatest works of transgressive fiction I’ve ever read. Like most works of suspense, the terror comes from what may happen rather than what actually happens. In this case, the novel’s tension — and greatest literary device — is Frank’s sadistic older brother, Eric. Throughout the book, Eric, who has just escaped from a mental hospital, calls his younger brother from pay phones, each time closer to home, each time more psychotic, threatening to kill Frank upon his return. It’s a classic example of the shadow figure. We have a serial killer narrator, and he’s not even the craziest member of the cast! Or is he…? The tension builds to a violent climax with a shocking twist that reframes the entire story. It’s the kind of ending that makes you want to go back to the beginning and read it all over again.